The online world is no longer a virtual world at least in the case of making money. But, many people are not approaching the opportunities given by the web ecosystem with a right strategy. It is a known fact there are many fraudulence in the virtual world targeting different sects of people, including online job seekers. However, people who take some precaution, can safeguard themselves from such fraudulence. 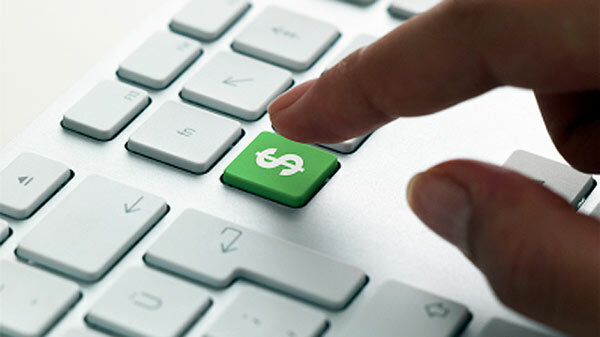 The options to make money online are quite complex in nature, and everyone can find their fit on the online world quite easily if they are really passionate to earn. It is interesting to discuss some of the best choices to make money online. The internet is actually flooded with online surveys as many brands want to know the opinion of customers about their products or services. It can give some extra income without the need for any specialized skills. However, people should understand that it cannot be a replacement for their full-time job, but a few minutes a day can earn a few hundred dollars at the end of the month. Few checklists can avoid any chances of fraudulence in the online surveys. Initially, the legitimate sites do not charge any money for sign up or at any point of transactions. Secondly, unrealistic or strange work rules that are not found to be logical have higher chances of being bogus. People who are creative enough or having excellent knowledge in specific areas can start own blog site. Creating a blog is very easy, especially WordPress and Blogger from Google offer free sites and blog accounts. Creating engaging contents and bringing good quality followers is another important step that can decide the success of the blog. It can offer revenues in the form of website monetization through ad-listing. It is like a business, and strategies applied by the blogger play an important role in the success of the blog. If people are serious enough and hardworking, they can convert it into a full-time self-employment opportunity. Writing reviews about products or services is another job anyone can choose without the need of specific skillsets. Websites like Swagbucks offer payments for reviews and options to earn income from internet activities such as watching videos, answering surveys, shop online, and more. The other sites that offer payment for writing reviews include ReviewStream, Sharedreviews, Software Judge, and more. People who are seriously planning to devote time for this option, do some background research and identify the best paying option for them before committing to a platform. People who love the fun side of online earning can choose online casinos for gaming. Considering the popularity of online gaming in the recent years, most of the online casinos offer excellent joining bonuses and choices for the aspiring gamers. It is also a great choice to learn some gaming strategies and earn quality income through successful implementation of those. As long as one’s exposure goes up, it gives them better insights about the gaming, and that reflects in their income. This is an excellent choice for earning while it can also relax the gamer at the end of the day. However, it is only recommended for serious gamers who want some unlimited income opportunities. It is an ideal choice for anyone who is interested in passing their knowledge to someone in the virtual world for earning some income. It is more of a regular opportunity, and people can even take it up as a full-time profession. Most of the online tuition centers are offering a legit platform with payments are fixed per hour. People have choices to teach students from primary schools to Post Graduation. Even people who have specific management, technology exposure, or foreign language skills can teach their community with higher pay. Remember, choosing the right tutoring platform matching the skillset is highly important. Most company executives or small businesses are in need of virtual assistants. People who are knowing Microsoft Office and other administrative tools can opt for the job without a second thought. Smart virtual assistants earn excellent income by spending two or three hours a day in front of their computer. Platforms like Upwork connect the aspiring virtual assistants with their clients. Often, there are requirements for people with specific software knowledge or experience in a particular task. People who are skilled enough to match those listings would land up in a higher paying job. Transcription is another hassle-free, legit job people can earn good extra income during their off hours. However, there are some specific requirements like medical transcription and legal transcription, which can only be filled by professionals who have exposure to it. However, vast majority of general transcription and business transcription jobs can be completed by anyone who has excellent listening and typing skills. With the emergence of subtitles in movies and shows, even video transcription is also finding place in the recent years. All of these are opportunities to earn in the home environment and are highly flexible. When people cannot move out for a regular job or in need of extra income, these options act as excellent choices to fulfill their needs. Next: How to Guarantee Safety while Gaming Online? How to Keep Your Twitter Updates Private? How to Open ISO Files?